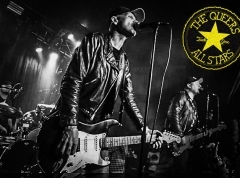 The metal genre has seen its fair share of ambitious undertakings, and among them it is not out of the ordinary to discover records that consist of only a single song. Boris’ “Flood”, Green Carnation’s “Light of Day, Day of Darkness”, Meshuggah’s “Catch Thirtythree” and Sleep’s “Dopesmoker” are all successful examples of the trade, but even they cannot compare to the audacity of “Mirror Reaper”, the third studio album by the Seattle, WA-born funeral doom metallers Bell Witch. Spanning across 83 minutes, the record is divided into two sections reflecting the Hermetic axiom, ‘as above, so below’, wherein the dualities of life and death, sorrow and respite, and the body and its ghost are explored. 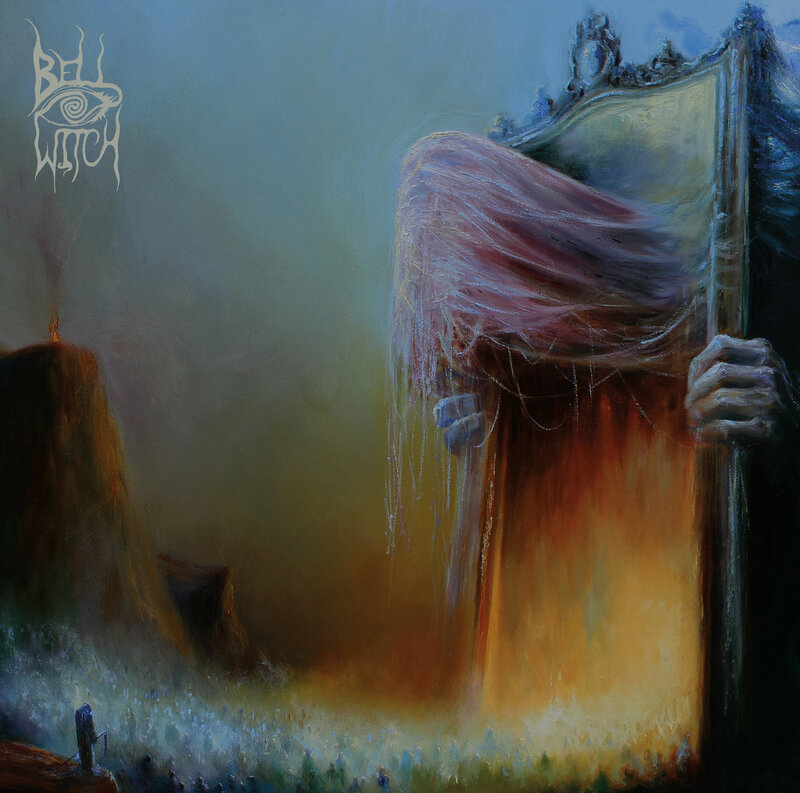 In essence, the entire piece is both its own and its reflection — something that the band was keen to emphasise when the title, concept and artwork of “Mirror Reaper” were unveiled, and something that is important to understand in order to appreciate the enormity of what Bell Witch has achieved here. Funeral doom is universally accepted as a slow and forlorn genre of music, but with “Mirror Reaper”, Bell Witch seems to burrow down to unprecedented depths in that respect. The duo was profoundly affected by the death of their friend and former drummer, Adrian Guerra, in 2016, and that loss is felt in every note struck by bassist Dylan Desmond, and in every languid kick of the bass drum by Guerra’s successor, Jesse Shreibman. Compared with the resplendent grandeur of its predecessor, 2015’s “Four Phantoms”, “Mirror Reaper” leaves the impression that the two grief-stricken musicians have had to drag the sounds out like lead anvils, laboriously scraping together a semblance of hope. The composition trudges forth at a glacial pace thus, mandated as much by the thematic content as by the conventions of the genre, but within the funeral procession, the band makes every moment count in their pursuit of emotional power. Desmond pours his heart and soul into each long, wailing note drawn from the upper register of his six-string bass, clinging to the lurching rhythm and echo of crashing cymbals as he lets out mournful, Gregorian chants from a distance. Shreibman weighs in with deep, guttural growls every now and then, as if to emphasise the juxtaposition upon which the album depends, offering something more tangible against the fleeting voice of his colleague. The first half an hour of “Mirror Reaper” is spent enveloped by a haunting, portentous atmosphere as tension gradually builds up. There is as much beauty in the things that do not happen as in the things that are audible during this segment, and the band’s abstinence allows the crescendo that ensues to wield even more power. Indeed, the next fifteen minutes — a sequence entitled “The Words of the Dead” — bear witness to a climax, with swathes of organ by Shreibman intertwining with deranged, posthumous screams by the late Guerra, as Desmond carves out his most funereal melodies yet. As the centerpiece of the composition, this transcendental segment rightly feels like the end of one thing and the beginning of another, heartbreaking yet cathartic, as death tends to be for those who must experience it as the audience. In this moment, Bell Witch is both with and without Guerra. Then the waves of noise withdraw and “Mirror Reaper” collapses into its second act, during which the bereaved musicians wade through acres of empty space in search of solace, their instruments ringing lonesomely, endlessly in the silence together with the tenderly lilting voice of Erik Moggridge — their longtime collaborator of Aerial Ruin fame. This long and devastating quietus seems to be a reflection of the emptiness that accompanies loss, the cries that go unheard — until near the end, the weeping bass lead to which the entire song is anchored is reprised one last time in a moment of clarity and deliverance. Having experienced the totality of grief, the band finds a shimmer of hope at last, bringing their monumental eulogy to a conclusion. On paper, 83 minutes of crushing, unyielding funeral doom should turn off all but the most devoted connoisseurs of the genre, yet with “Mirror Reaper”, Bell Witch defies that expectation with a work so elegantly composed, and so total in its expression that anyone who has an interest in art, music or both should be able to appreciate it. Time and patience is required, yes, as well as a love of subtlety, but the investment comes with guaranteed full dividends.